Last summer I had the excellent experience of being sent to Paris for six weeks as assistant editor on the Milla Jovovich movie Faces In the Crowd, which was shooting here in Winnipeg. This was purely a matter of luck and coincidence: because of the tax credit rules here and the divvying up of personnel between Manitoba and France in order to maximize the points for each jurisdiction, it turned out that although the editing was to be done in Paris, they needed an assistant from Winnipeg for the first stage of post-production. And they needed someone who could go next week. Now, I’d never actually worked on a commercial feature before (I’ve edited a lot of documentary, but only two small, independent features), and I’d never previously been anyone’s assistant – I started out as an editor from the beginning. So, I wasn’t actually qualified, but there was no one else available at a moment’s notice. Paris, needless to say, was amazing. It has incredible energy, with its large population squeezed into a very small area (I was told that it’s actually the most densely populated urban area on the planet), with life constantly spilling out into the streets. 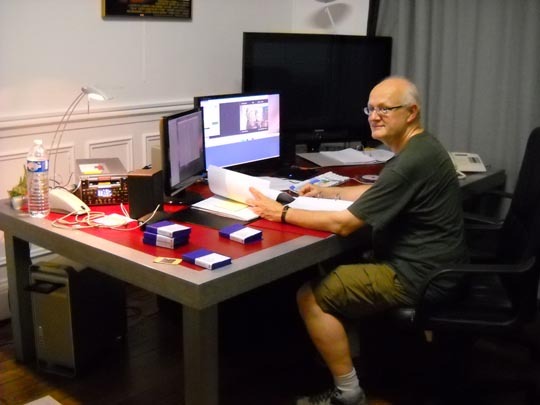 And once I had the editing room functioning, my only tasks were receiving and checking the rushes once or twice a week, digitizing them into the Avid and occasionally trouble-shooting issues with the post-production supervisor in Regina and the lab back in Toronto. As Antoine Vareille, the editor, was cutting during the day after the first two weeks and I was working evenings, I had a lot of free time just to wander about the city. It was like a six-week paid vacation. Paris has a reputation for being a cineaste’s city and it’s quite true: the French love movies, and they love old movies. Along with the new releases, theatres are constantly showing revivals of classics. That attitude also manifests in the DVDs that are produced in France – I quickly discovered the best places to look for disks … MK2, FNAC, Virgin … The city was flooded with mouthwatering titles, though unfortunately for someone like me, embarrassingly unilingual, the French don’t seem to be interested in expanding their market, and most of the DVDs they produce don’t have English subtitles. This surprised me at first as, coming from Canada, I take subtitling for granted – almost everything here has French subtitles and even optional French dub tracks. So there were things I would really have liked to get that turned out to be of no use to me: a box set of early Mexican Bunuel films, Alain Resnais’ Je t’aime, je t’aime (seen only once, decades ago, and still unavailable in an English-friendly version – why Criterion stopped after Last Year At Marienbad and Hiroshima, Mon Amour, I don’t know). 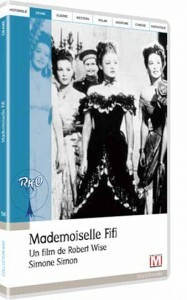 One of my favourite discoveries was a budget line of DVDs from Editions Montparnasse. This company puts out an RKO Collection which has well over a hundred titles. While some of the more prominent movies are already available in region 1, and others have begun to appear as Warner Archive releases, and while the quality is quite variable (DVD Beaver is often critical of them), there are movies available in this series which I hadn’t previously had access to – I only bought a dozen, but there were quite a few more that I was tempted by. 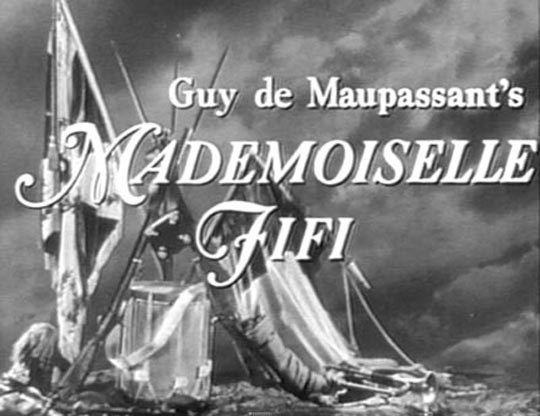 The real find, for me, was Robert Wise’s first feature, Mademoiselle Fifi (1944), which was also his first film for producer Val Lewton; this was Lewton’s attempt to move beyond the atmospheric horror films he’d been producing for RKO by making a more respectable costume drama based on a couple of stories by Guy de Maupassant. It also served as a propaganda piece about collaboration and resistance. The story involves the Stagecoach-like passengers of a carriage crossing a wintry French landscape at the time of the Franco-Prussian war. While most of the passengers are self-important bourgeois types, among them is a feisty young laundry maid played by Cat People‘s Simone Simon. She is the youngest and best prepared, having brought along a picnic basket of goodies which she freely shares with her condescending companions. The trouble starts when the coach stops overnight at a way-station and an arrogant Prussian officer stationed there takes a fancy to the laundress and demands that she join him for dinner in his rooms. When she refuses on principle, the officer prevents the coach from travelling on. And then the other passengers begin to pressure her because it’s seen as her fault that they’re being inconvenienced. 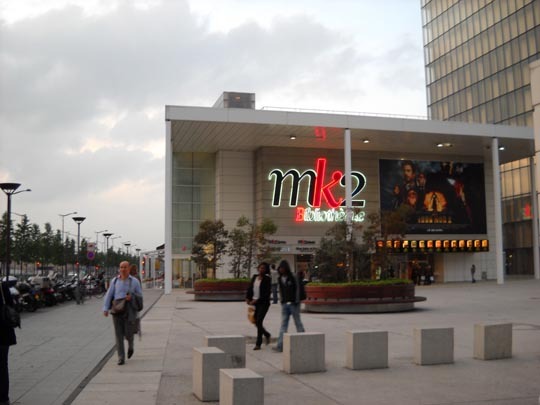 None of her “social superiors” seem much concerned about the occupation of France or have any respect for the girl’s patriotism – in fact, patriotism is seen as a hindrance to the smooth running of business-as-usual. The laundress finally capitulates and goes to the officer’s rooms; the next day, the coach is allowed to continue, but the girl’s companions now treat her with frosty contempt because they assume she spent the night with the officer. When they reach their destination, and the officer tries to force himself on her again, the laundress stabs him to death, thereby triggering the beginnings of an open revolt against the occupation. 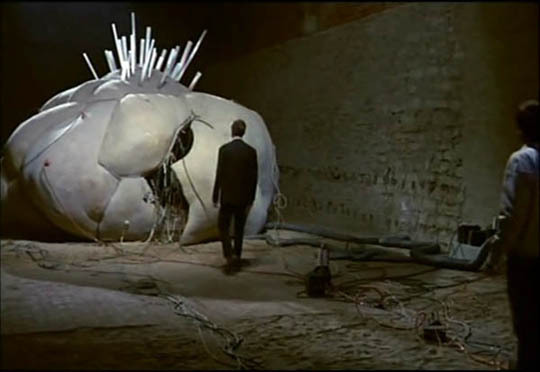 Although Wise’s direction is perhaps a little stiff and unimaginative, the low-budget studio production values are actually quite good, and the script is very well constructed. You have to wonder whether anyone connected with the House Un-American Activities Committee took note of the left-leaning tendencies of Lewton, Wise and the two scriptwriters, Peter Ruric and Josef Mischel (neither of whom have any credits after the late ’40s); the film offers a very clear class distinction between the complacent, collaborating bourgeoisie and the feisty, patriotic worker. I appreciate that Editions Montparnasse has released a decent copy because the chances of a region 1 release are pretty slim. Like most of the other RKO titles I bought in Paris, this minor film was always unlikely to be released in the States as anything except part of a larger package, so it’s a pity that Warners didn’t include Fifi and Lewton’s other non-horror release from the same year, the Mark Robson-directed juvenile delinquent story Youth Runs Wild, in their 2005 Lewton box set – but inevitably, they included only the nine classic horror titles. The same applies to other titles I picked up in Paris, including two of Renoir’s Hollywood movies: the propaganda film This Land Is Mine (1943) and the noir The Woman On the Beach (1947). Set in a Hollywood Middle Europe a stone’s throw from Universal’s Transylvania, Land tells the story of a pathetic, cowardly school teacher (the great Charles Laughton) who discovers his own inspiring courage under Nazi occupation. It’s both gripping and moving, though it does go over the top with the climactic reading of the entire US Bill of Rights to a roomful of schoolboys. Woman on the Beach, Renoir’s final Hollywood production, is an effectively dreamy tale of troubled people trying to lay the ghosts that plague them; Robert Ryan is a Coast Guard officer haunted by nightmares of being torpedoed, who meets the unhappy wife (Joan Bennett) of a bitter, blind painter (Charles Bickford) and becomes obsessed with her. To some degree, the film is under-developed and certainly not among Renoir’s best, but the three leads make it worth watching. Then there are two early Nicholas Rays: A Woman’s Secret (1949, his second feature) and Born to Be Bad (1950). Secret is an implausible melodrama about jealousy over a successful singing career, leading to a shooting. 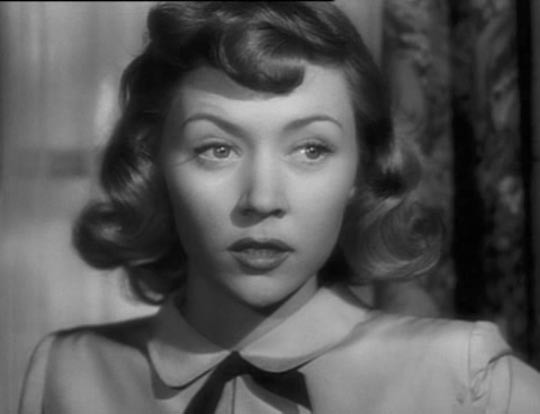 The only reasons to watch it are Gloria Graham (shot in the opening scene, but appearing throughout in flashbacks) and Jay C. Flippen as the detective on the case, but there’s not much indication here of what Ray would accomplish later that year and the next with a string of great movies: They Live By Night, In a Lonely Place, and the second Montparnasse title, Born to Be Bad, which provided Joan Fontaine with a rare villainous role which she grabs and runs with to great effect. She’s the scheming sociopath who tricks easy-going, wealthy Zachary Scott into marrying her while also having a torrid relationship with the less savoury Robert Ryan (yes, again – can’t get enough of him!). I could go on about other titles – Tourneur’s Experiment Perilous and Days of Hope, Ted Tetzlaff’s The Window (just put out by Warner Archive) – but I’ll end with a note about Edward Dmytryk’s interesting bit of propaganda, Hitler’s Children, which features none other than Nancy Drew herself, the wonderful Bonita Granville, as an American student with German ancestry who’s studying in Berlin when Hitler takes power and finds herself trapped in the Reich; although there’s a great deal of speechifying, the movie is a potent depiction of the Nazi corruption of innocence, with brutal labour camps, forced sterilization, and forced pregnancy for the Fuhrer. It’s a lurid tale determined to make home front audiences aware of what the fight is all about. 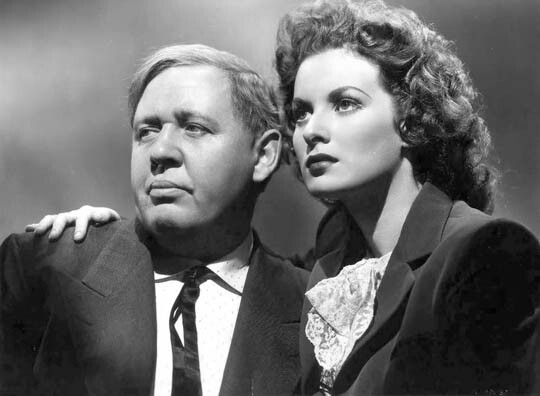 This entry was posted in Commentary and tagged Actors, Directors, DVD, Edward Dmytryk, Gloria Graham, Jean Renoir, Nicholas Ray, RKO, Robert Wise, Val Lewton. Bookmark the permalink.